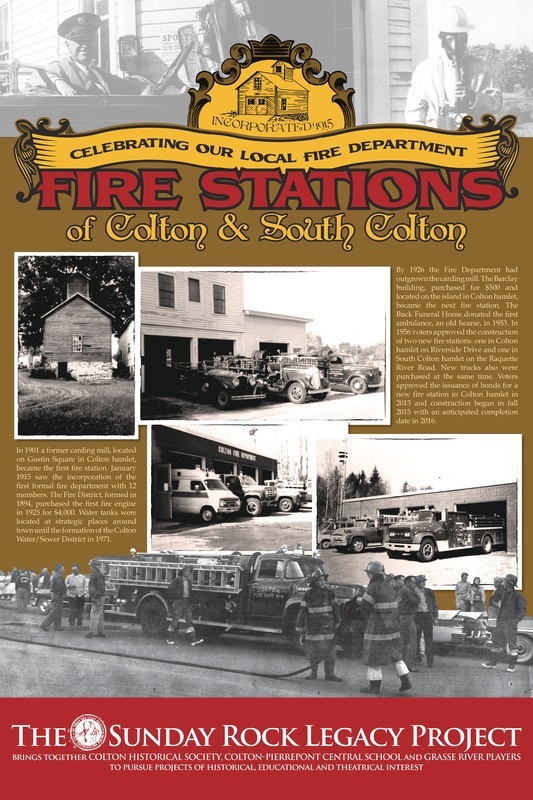 In 2015 the Colton Fire Department is celebrating its centennial since incorporation in 1915. Events held throughout the year are complemented by an exhibit in the Colton Museum on Main Street in the hamlet of Colton. A poster focusing on Fire Stations in town, created by the Colton Historical Society in conjunction with the 2015 Sunday Rock Legacy Project, is available to see in the Museum. After Labor Day the Museum is open by appointment by calling Cyndy Hennessy, President of the Colton Historical Society, at 315-262-2524.